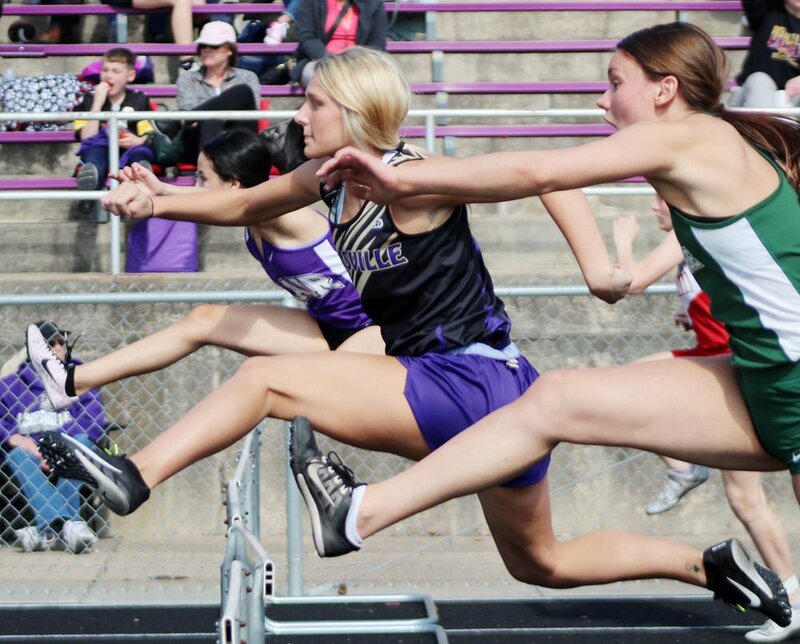 NEBRASKA CITY – Sunny skies provided a chance for Cass County athletes to secure bright results Friday at the Nebraska City Invite. Track and field teams from Conestoga, Louisville and Plattsmouth journeyed to Nebraska City for events throughout the afternoon and evening. The meet featured a variety of Class B and C squads from the eastern half of the state. The Conestoga girls placed fourth in team standings with 46 points. Bella Hogue led the Cougars with a championship in the 400 meters and silver medals in both the 100 and 200. She claimed her 400 crown in a season-best time of 59.63 seconds. CHS teammates Danie Parriott and Morgan McAndrew added points during the day. Parriott medaled in two distance races and McAndrew captured second place in the pole vault. 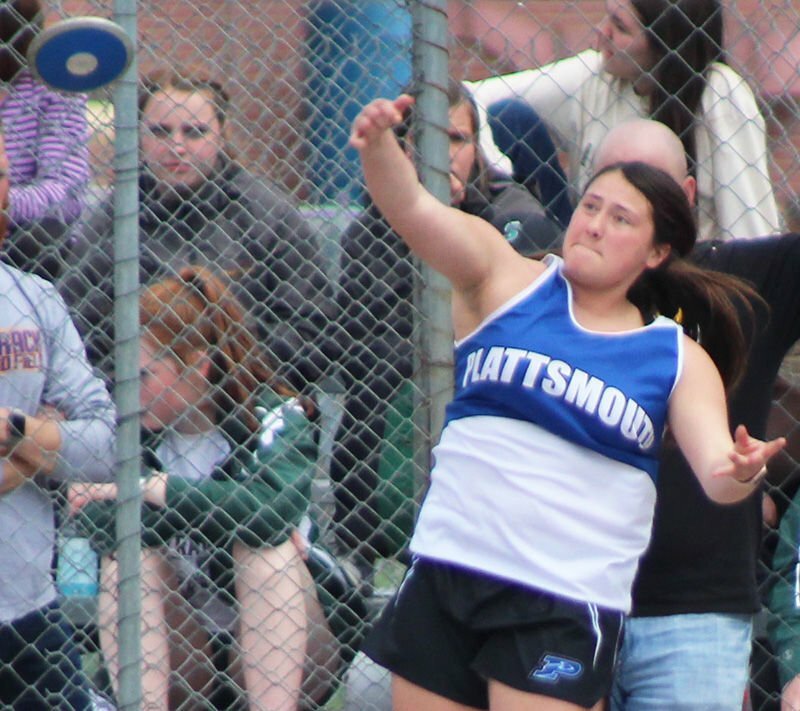 The Plattsmouth girls secured seventh place with 27 points. The 400-meter relay team of Kennedy Miller, Taylor Jones, Bella Chappell and Jessica Meisinger highlighted the day with a title. The quartet crossed the tape in 53.91 seconds. Taylor Caba ended the track meet with four medals. Rachel Widick, Lyndsey Caba, Ava LaSure and Payton Haugaard also captured awards for the team. The Louisville girls were eighth with 26 points. Meagan Mackling, Avery Heard, Maia Johnson, Sophie Korytowski and Faye Jacobsen all won medals for the Lions. Mackling won the 300-meter hurdles in a contest featuring three of the best hurdlers in the state. She crossed the tape in 47.13 seconds. Platteview’s Teri Zanker (48.06) and Bishop Neumann’s Katie Lilly (49.18) were second and third. The Plattsmouth boys claimed third place with 76 points. The team won medals in 12 events and captured multiple awards in both the pole vault and discus. Stockton Graham (800), Hunter Smith (pole vault), Randall Aguilar (long jump) and Tucker Anderson (triple jump) all earned second place in their events. The Louisville boys were ninth with 11 points. Doug Euans won medals in both the 800 and 1,600 and Talon Ball medaled in the 3,200. The Conestoga boys placed tenth with four points. Dillon Leffler (400) and Devin Wagner (pole vault) were both fifth in their contests.